Our list of winners  with links to year reports containing title match game records. John Barrs (1914-1971) was for many years the undisputed top British player. He learned to play in 1929. He founded the BGA in 1953, and was awarded a 1 dan rank some years later. International Go tournaments were held in Japan in 1963 and 1964, and he was British board one (board two was Neil Stein in the two-man team). The 8th European Go Congress at Scheveningen seems to have marked an important point in the expansion of British Go, with 7 UK players attending. The 1965 New Scientist article by I. J. Good  (who had learned the rules from Alan Turing ) brought many into the game. Later that year John Barrs wrote of Neil Stein, Jon Diamond and Colin Irving as three players likely to reach dan level shortly. The championship was unofficial at this time and Barrs usually won, though legend has it that Stein beat him one year. The first British Championship was held in September 1965 between John Barrs, Jon Diamond and Colin Irving, who were all then graded 1-dan. Each player played each of the others twice. Jon Diamond won all four of his games, becoming the first British champion. For some time after this, no British championship was held as Jon was obviously the strongest player. The 10th European Congress was held in London in 1966. By the end of that year Jon Diamond was recognised as 2 dan, Barrs, Irving and David Wells as 1 dan, and the BGA had 300 members. Jon Diamond was made 3 dan in 1967, and was recognised as the leading British player during this whole period. However half a dozen years passed before the championship match system emerged. 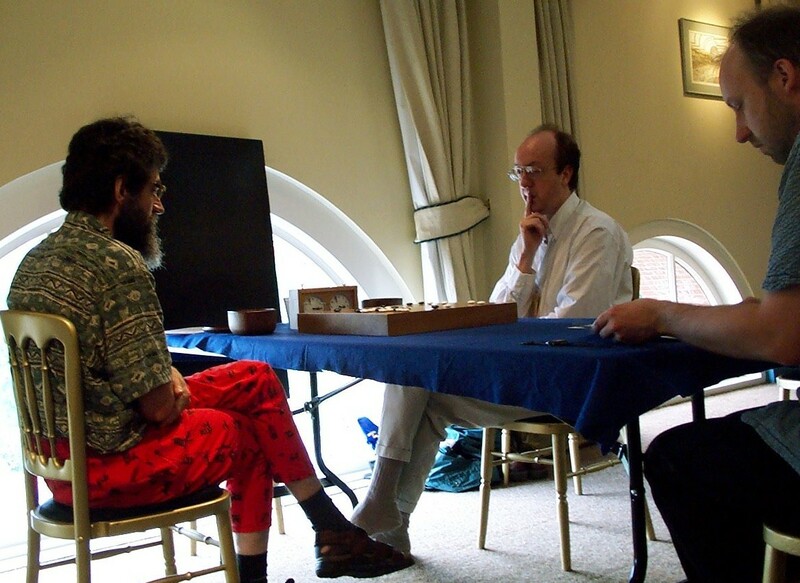 To begin with the British Congress was a handicap tournament, first held in Oxford in 1968; Diamond was the strongest native present, a strong 3 dan (European Class 14). The next year, with Diamond absent, his long-term rival Tony Goddard did best of the native players and was made 3 dan also. In 1970, Diamond was British Champion by being the highest placed native in the British Open, the new designation of the Congress tournament. In 1971 the McMahon system was introduced at the British Open and Diamond, now 4 dan, stayed Champion by beating Goddard in a decider. In 1972 we have the first of the series of matches to decide the British Champion. Once more Diamond beat Goddard, this time 2-0. Both players were graded as 4 dan. In 1973 there was a hiatus with no match held. From 1974 onwards there is an unbroken run. However JAL  sponsorship that year made for a single game, in which challenger Paul Prescott (3 dan) beat Diamond to take the title. From 1975 onwards all matches were best of five and Diamond regained the title from Prescott (now 4 dan) by three game to nil. 1976 saw the introduction of the preliminary Candidates' tournament and the match was a repeat result of 1975. In 1977 Prescott managed to win two games, but Diamond retained the title. Jon decided not to contest the 1978 championship, and retired as Champion. In 1978 the Championship went to a match between Matthew Macfadyen and Brian Castledine. Macfadyen won, three games to nil, to take the title for the first time and he went on to be in the match in every subsequent year in this period except 1987. In 1979 Terry Stacey challenged Macfadyen for the first time and over several years proved to be a worthy opponent. Stacey won one game of the five in each of 1979 and 1980, and two games in 1981. Jim Barty was the Challenger in 1982, but Stacey was back in 1983 and 1984. Macfadyen won all these to nil. However Stacey finally beat Macfadyen by three games to one in 1985 to take the title. Stacey defended the title by the same score in 1986. 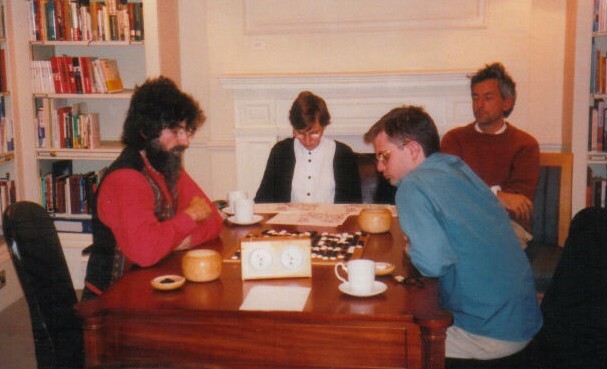 In 1987 Macfadyen was at the World Amateur in China and could not compete, so Piers Shepperson was Stacey's Challenger; Shepperson went on to win the match at the fifth game, just before Stacey was tragically killed in a motorcycle accident. Macfadyen was back in 1988 and took the title back from Shepperson by three games to nil. Edmund Shaw was the regular Challenger over the next few years; with matches against Macfadyen in 1989, 1991 and 1992, winning one game against him in the first and last of these. John Rickard was Macfadyen's Challenger in 1990. 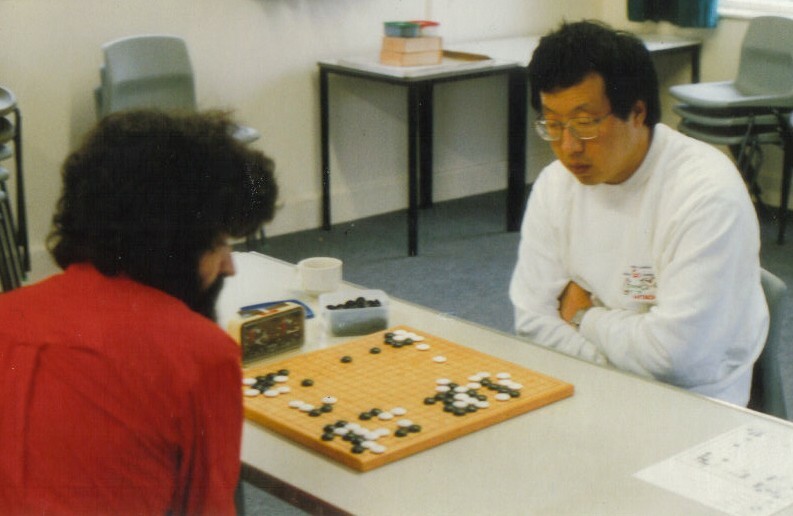 In 1993 Zhang Shutai, a Chinese resident of London, became eligible to play in the British Championship. He beat Macfadyen in each of the next four years (three games to nil, nil, one and two), but Zhang retired from the Championship after 1996. In 1997 Macfadyen was back, beating Charles Matthews in the title match, and he beat Shaw again in 1998. Matthew Cocke made the first of a few challenges in 1999 and Des Cann tried in 2000. The London-based Korean player Young Kim played the match in 2001 and managed to take one game off Macfadyen. Cocke tried again in 2002 and 2003. David Ward was the Challenger in 2004 and Des Cann again in 2005. Another player from China, who took British nationality, took part in 2006. Bei Ge managed to beat Macfadyen in the fifth game to take the title after a nine year run. Alex Selby managed one win against Bei Ge in 2007 to give him a second year as champion. Macfadyen was back in 2008, beating Hui Wang by three games to one to take back the title; he beat Wang again in 2009. The first female Challenger, youngster Vanessa Wong from Hong Kong, made the challenge in 2010 and she took one game off Macfadyen. Another player from the new generation, Nick Krempel, played in 2011 and, with the match reduced to three games, managed to win one game. Matthew Macfadyen decided not to defend his title in 2012 after an impressive 25 wins over 34 years. So the way was open for someone from the new generation to take over. Nick Krempel was again in the match, but it was Andrew Kay who stepped forward to take the title, winning the match two games to nil. Andrew Simons was the Challenger in 2013 and Kay retained the title two games to nil. From 2014 the players could decide whether to play best of three or five. Alex Kent took on Kay in 2014, but lost three games to nil. Andrew Simons and Andrew Kay played for the 2015 title, with Andrew Simons winning the delayed deciding third game in February 2016, to take the title for the first time. The 2016 match was between two players who had never been champion so a new champion was guaranteed. 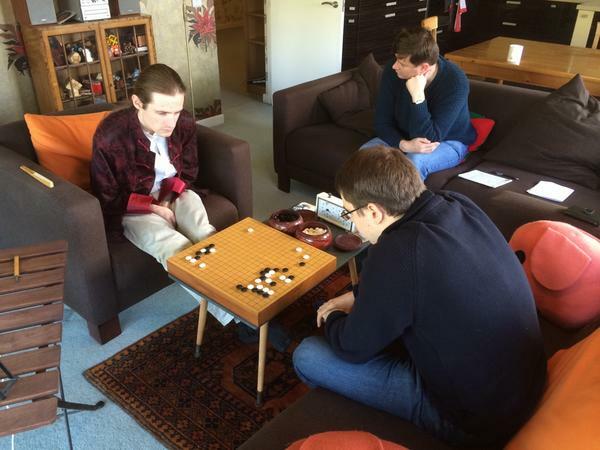 The match was played over several months, with the final game in February 2017, and Junnan Jiang became the champion beating Charles Hibbert 2-1. Junnan did not defend the title in 2017 and Daniel Hu beat Andrew Simons 2-0 to become the champion. Daniel Hu did not defend either and in 2018 Sam Aitken beat Andrew Simons 2-1 to be champion for the first time.